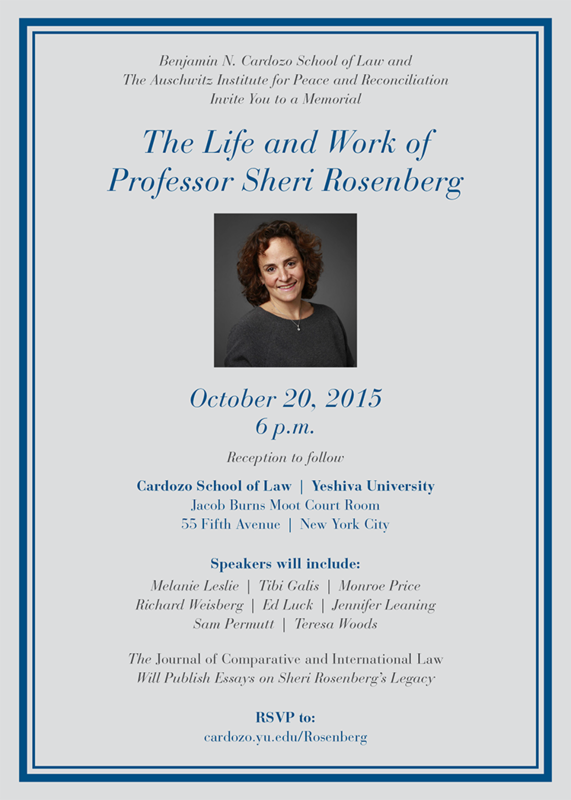 Please join us in honoring and remembering the life and work of Professor Sheri Rosenberg – our friend, colleague, and mentor, on October 20 at 6p.m. 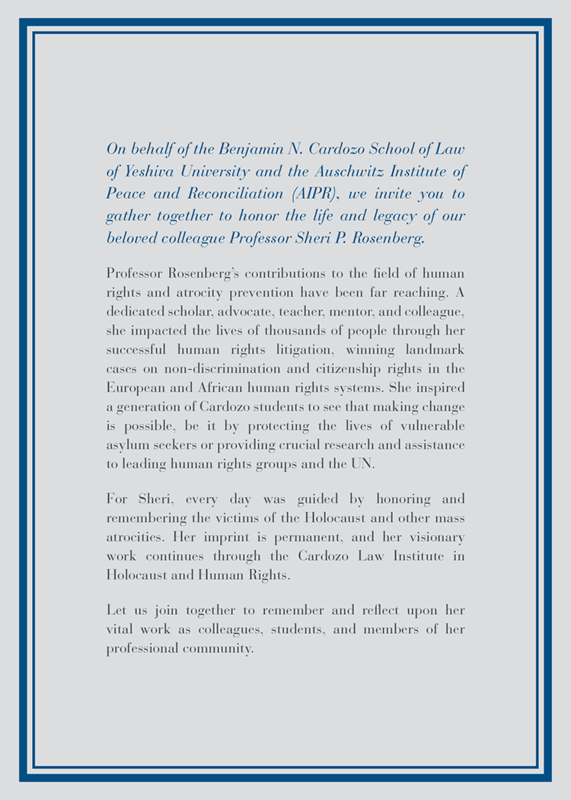 at the Benjamin N. Cardozo School of Law. The event invitation and a link to RSVP are available here.